The large invertebrates swim from southern waters, but can end up on the beach for unknown reasons. 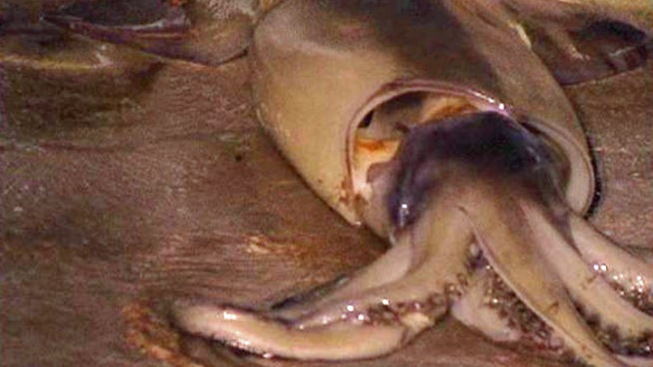 Possible reasons for the visiting squid could be that their numbers are increasing. 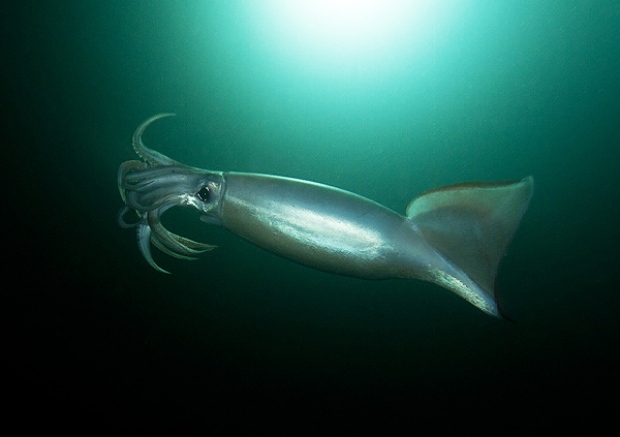 Or the food Humboldt squid hunt could be moving up the Pacific coastline, forcing the invertebrates to follow their prey. “They are proving to be quite adaptive,” Sala said. Hundreds of thousands of squid are attracting tourists and fisherman just off the coast of San Diego. 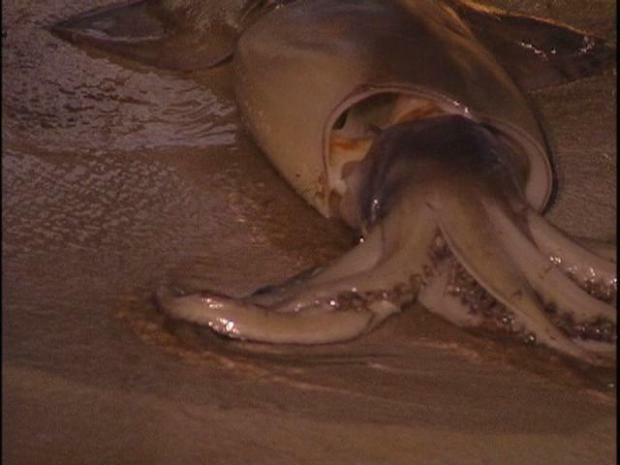 The squid could also be beaching themselves because the red tide is causing them to become ill. If the squid are potentially eating fish and other animals that may have fed on the microalgae which possess toxins in the red tide, they may bioaccumulate the toxins from their food rather than directly from the microalgae. Scientists are looking into whether or not the bioaccumulation of demoic acid or toxins forming microalgae are a reason that these animals potentially become sick and strand. But so far, there’s no clear answer as to why the squid are here. What should people do when the jumbo Humboldts wash up along shore? Leave them to the birds. Have you seen the squid? Show us your pictures on Facebook, join the conversation below and let us know what you think on Twitter @nbcsandiego.